Collaboration is as integral to the work of foundations as it is to nonprofit organizations. But with staff, board members, and other collaborators spread out across multiple offices or geographic locations, it’s not as easy as sitting around a table in a conference room. The right software can not only bridge the distance and unite dispersed staff, but make it easy to present, review, and comment on information. Almost every nonprofit needs to coordinate the work of multiple people, from staff to volunteers to board members—and foundations are no exception. Like nonprofits, they have a number of reasons to collaborate in different ways. For example, a geographically dispersed staff might need to collaborate with each other in internal meetings, or with board members. Foundation boards are often big and filled with busy people who aren’t always very tech savvy—staff could benefit from easy-to-use tools that make it possible to present the grant proposal documents they need board members to review and think about. Or staff might participate in working groups with other foundations, or with constituents or grantees in particular interest areas—some of these groups are informal and casual “thinking” groups while others might be more formally structured, depending on who is involved. Unfortunately, there’s no single silver bullet tool designed to facilitate all of foundations’ efforts to collaborate, but there’s a number of types of tools that can be used in different ways to meet some, or all, of their needs. Let’s look at them one at a time. Videoconferencing tools like Skype, ooVoo, and Google Hangouts and teleconferencing tools like Adobe Connect and ReadyTalk are easy to use, affordable, and widely available. When used as a supplement or replacement for one-on-one calls, they can foster more of a personal connection and enable online document-sharing. There are a number of free or inexpensive options to facilitate everything from a one-on-one meeting and small group collaborations to working with large groups by presenting information, soliciting comments, and polling. While the basic function of online conferencing tools is to provide online “meeting rooms,” they can also support everything from desktop sharing to text chat to facilitate communication among participants. Google’s suite of online tools can serve as a lightweight solution with the benefit that most people are already familiar with. Google Drive is a free, online word processor that lets multiple users view and edit documents in (almost) real time—there’s sometimes a delay of 10 seconds or less—and they can be used in interesting ways during a conference call as a shared written agenda or notepad or as a supplemental place for people to add thoughts. Users can also save the document to provide a record of what was discussed, or to create something together with participants in different locations. On the downside, it doesn’t inherently provide any structure for participants—so, for example, it might be a challenge to use as a means of soliciting comments on different grant proposals as it’s difficult to structure a lot of information. Wikis—essentially, user-editable websites—serve as an easy, comprehensive way for a large group of users like staff or constituents to create and share a growing pool of information. Administrators manage specifically who can see and edit sections or pages. Wikis are great for creating content collaboratively—they can be accessed online from anywhere, they let multiple people edit simultaneously, and prior versions are automatically saved and easily restored—but many wikis feel fairly technical to update. Hosted wiki services like PBworks and Wikispaces, all offer free, basic services, with higher-end features available for a cost. Foundations can also download and install wiki software on their own servers, including free, open source options like MediaWiki, DokuWiki, and PHPWiki. 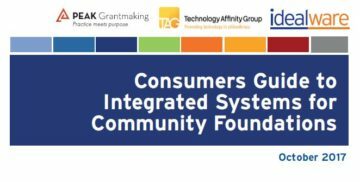 For foundations that want to collaborate around grants and solicit reviews or comments on proposals from board or community members, a number of grants management systems offer useful features. Many foundations already have these systems in place—some offer features that can help with collaboration. For instance, review modules often provide a straightforward interface to see proposal documents, write overall comments, or score proposals. Some systems allow board members to see each other’s ratings or comments during a board meeting—on a tablet, for example—while a staff member projects grant information from the system on a screen. For detailed comparisons of 28 popular grants management systems, download Idealware’s free Consumers Guide to Grants Management Systems. General project management tools like Basecamp, CentralDesktop, Open Atrium, Zoho, DreamTeam for Salesforce, and GoPlan incorporate basic project planning, document sharing, task management, shared calendars, and online discussion boards into a single system. These web-based tools are particularly useful for geographically diverse teams or teams that include members from outside the organization. They offer a lot of structure—users upload documents, and people can comment on them or build shared task lists or calendars, for example. These tools require some commitment and training from collaborators, as it’s easy and common for people to essentially work around a tool like this by having email conversations or sending around documents. A designated “keeper,” or champion, can help ensure that all pertinent information actually gets into the tool. Board portals are tools designed specifically to help board members fulfill their roles and collaborate effectively despite being spread out geographically. Regulations in the for-profit sector that put stringent new requirements on board information and management led to the rise of this software, which means it is first and foremost secure. 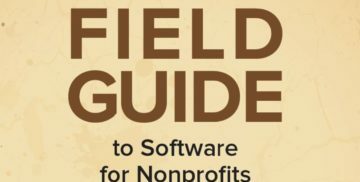 But in the past few years, as prices have come down and interest from the nonprofit sector has grown, vendors have adapted their offerings to better meet the needs of nonprofit boards. However, the tools remain reasonably expensive for foundations on a tight budget. Portals from BoardVantage, BoardWorks, Diligent Boardbooks, BoardEffect, Directors Desk, and Thomson Reuters Accelus BoardLink all offer varied functionality, but many overlapping features. Portals typically include tools to create a board book—the package of documents to be reviewed at a particular meeting—and centrally manage organizational documents, as well as the ability to electronically distribute materials to all board members , to a specific committee, or to selected individuals. Board members usually have defined access to materials, with user-level access to allow support staff to see appropriate materials without access to confidential sections of the portal. They can take notes online as they review meeting packets, and access these notes during meetings. Other typical functionality includes on- and off-line accessibility that lets board members access materials over the web and download them for review while offline, such as when traveling, still ensuring the same strict security. Most packages provide calendaring functions, and can link calendars to materials for scheduled meetings, as well as e-mail and discussion tools with confidentiality controls that limit access to appropriate staff. Some also include survey tools for polling board members or conducting board assessments, and let board chairs call for online voting, when appropriate. While there’s no single tool to facilitate collaboration for foundations, there’s no single requirement, either—every organization’s needs are different. Whether they’re looking to foster collaboration among board members, local or far-flung staff, or a combination, foundations have a number of tools available to them. By picking and choosing the software that best meets their needs, they have the opportunity to customize a solution to their particular demands and budget. 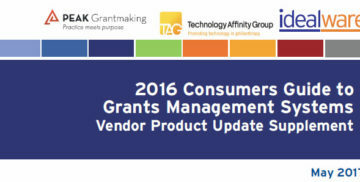 Consumers Guide to Grants Management Systems, Idealware. A Few Good Online Conferencing Tools, Idealware. Boosting Board Collaboration: Software to Support Your Board, Idealware. Thanks to TechSoup for the financial support of this article.